Tim Holtz just released some awesome add-on Stamp Sets for all of your Bird Crazy people out there! We’ll be getting them in stock shortly and I’m taking pre-orders! You will still get 20% off even though these are a new release. Click the pictures below to get to the listings! I really wanted to be thrilled with this card, I swear! However, I feel that when I dreamt up this design, I was dreaming of it as a shabby chic room with soft tones and subtle signs of wear. Since I was supposed to be designing a card for a man, I decided that I would keep the design, but change the colors to make it masculine. I mean, that’s not a terrible idea, right? That’s what I thought, but now I am thinking that I thought wrong. Besides the color scheme, there are a few other things on this card that just feel, well, off. Some of that rips in the “wallpaper” are a little to perfect which makes it look fake. I am now thinking that one large rip or two medium size rips may have made a more dramatic look and given the effect that I was going for a lot better. I am a little bothered that my handwriting on “make a wish” isn’t that pretty and because I hand wrote it, it is off center. I think with a few tweaks, this card design could look amazing! If you want to know how I did anything, just ask! I am even willing to do a pictorial tutorial or a video tutorial. The window was made using ECAL software and cut with an EClips machine. I am starting to like that machine more and more since I moved the desktop into my craft room 🙂 . Thanks for checking out my card and stopping by! 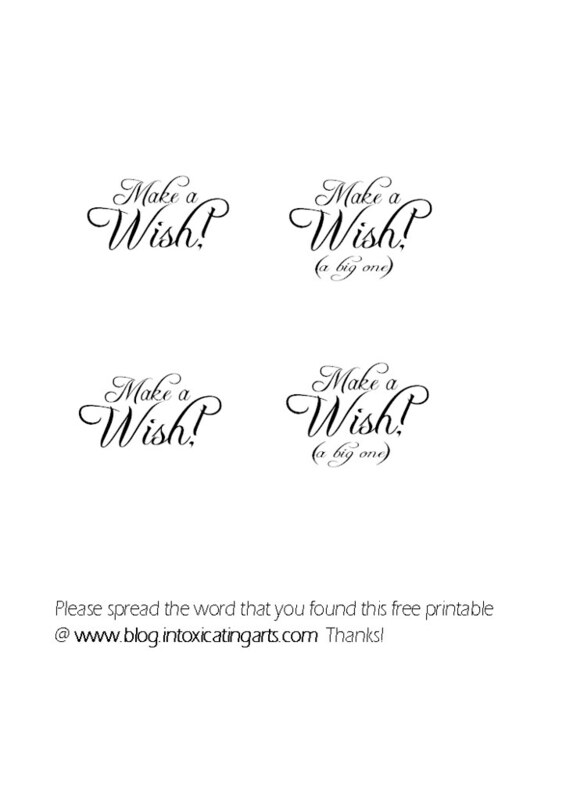 Make a Wish (a big one) – FREE Printable! 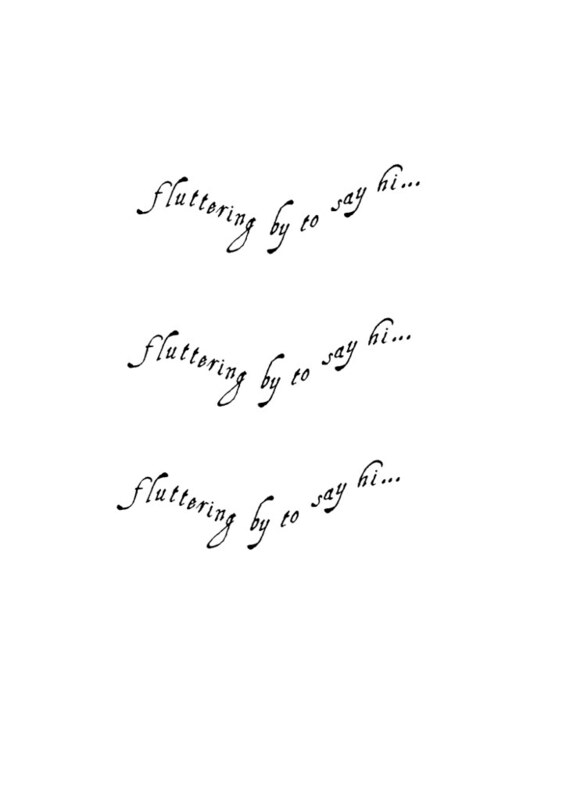 I was making a birthday card the other day (which I still need to post pictures of) and I had a stamp that I really wanted to use because I like the sentiment, but unfortunately the font didn’t match the theme I had. I ended up just handwriting “make a wish” on the front of the card. I wish I had taken just a little more time and made myself a printable. Well, just because I forgot to do it for myself doesn’t mean I couldn’t make one to share with you guys! 🙂 . ‘d Media Inx in Peridot . I die cut it using a Spellbinders oval die. That was also adhered using foam adhesive . The small flowers were from Michael’s and made by Shabby Chic. The paper found on this card is a stack that was found on sale at Michael’s. It is DCWV Vintage Garden. I hope you like my card and I’ll be posting a video once the inside is finished . Thanks for stopping by ! I made my first printable today. It was pretty fun. I came up with this phrase off the top of my head. I am not saying it is so unique that no one has ever said it before, but I personally have not seen it used anywhere. Anyways, if I can continue to find time (which is unlikely) I will make more of these and share with you. Honestly, I can see using this on the front of a card if you aren’t having the greatest time with your special someone lately. 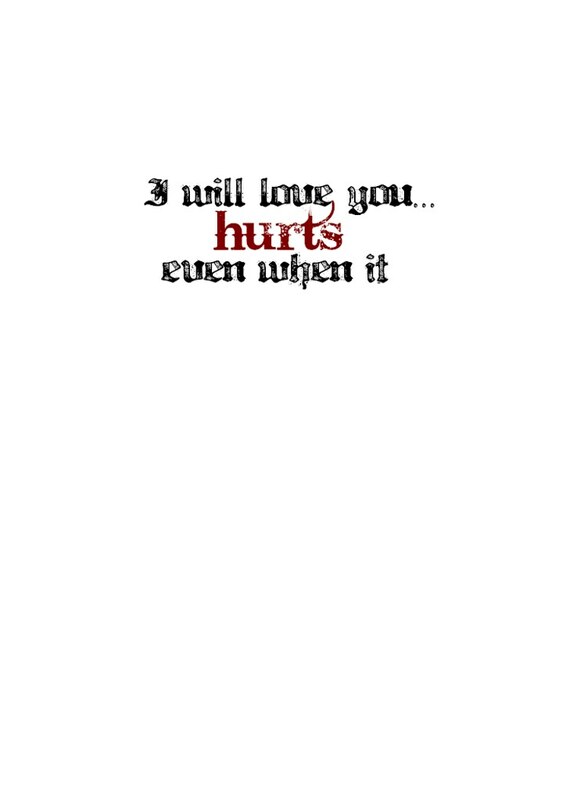 It lets them know that you are there for them even when times are rough or maybe they haven’t been the greatest lately, but you know they will come around and be that amazing person again soon. It may just take them knowing that you are there to get them out of a rut. Maybe they didn’t even know their actions were hurting you, but you can’t find a way to express it.